7/10 We recently received word from Chip's adopter that sweet little Chip has gone to the Rainbow Bridge. He was deeply loved and is greatly missed. Hi. My name is Chip. 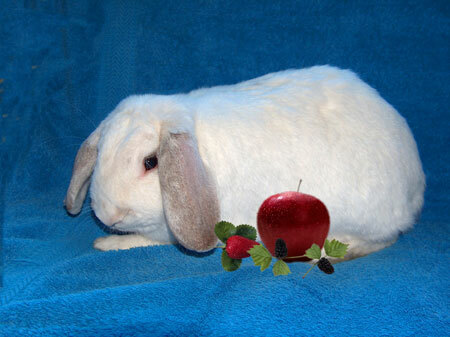 I am a very handsome, sweet and gentle, neutered lop boy. I am feeling a little lonely and would really like to be adopted soon. I have a lot of love to share and I don't ask for much...just kindness and good care. I'll reward you with love and devotion. I really hope you'll come and meet me soon.